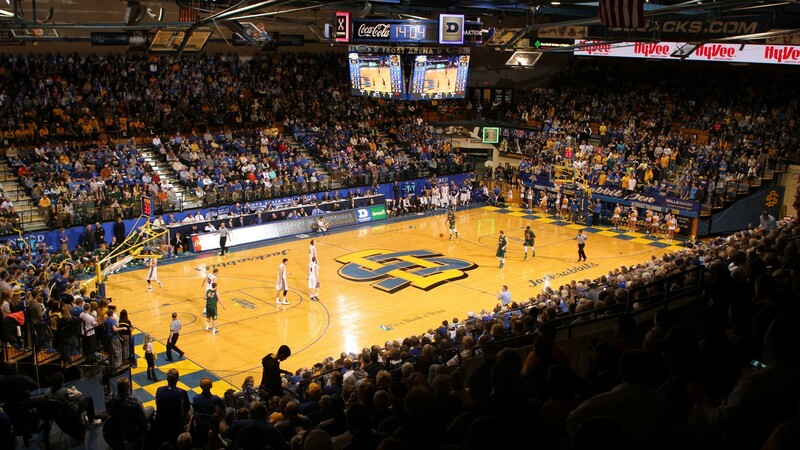 What are some of college basketball's oldest arenas? 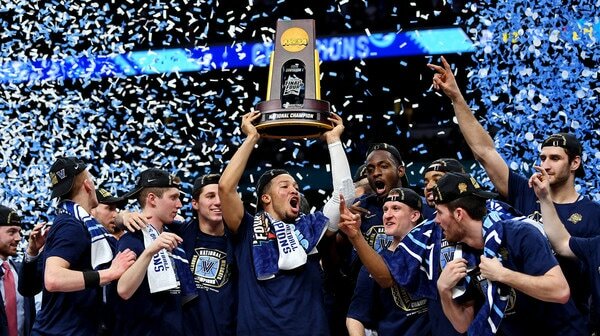 Few sports have as much potential for homecourt advantage as college basketball. With fans lining every square inch just a couple feet from the playing surface, the right arena atmosphere can be enough to swing major games. Since the turn of the century, the average Division I team wins 34.1 percent of its games on the road, and 68.5 percent of its games at home. That's a staggering difference. 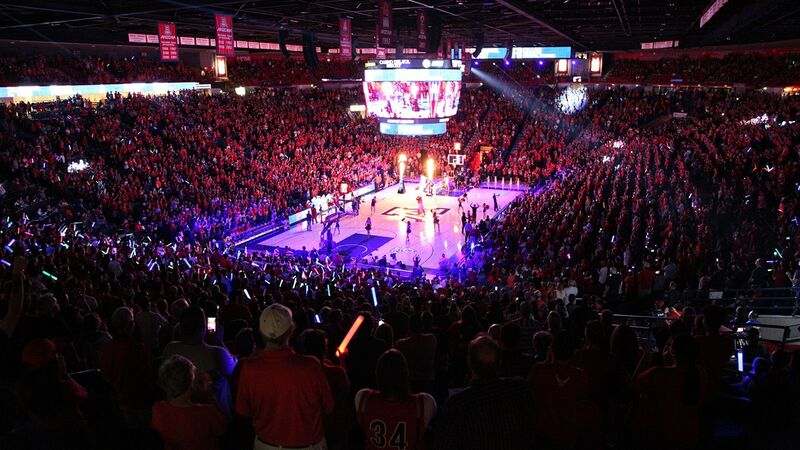 So which schools have had the best home court performance this century? South Dakota State is one of just two teams in this list that doesn't hail from a Power 5 conference. The Jackrabbits have only been in Division I since the 2005-06 season, but they've qualified for the NCAA tournament five times since then, and only lost 19 games at home. Of the ten teams on this list, Arizona has lost the most home games since 2000, but the Wildcats are still averaging fewer than three home losses every year. They're also averaging 14 home wins every season. 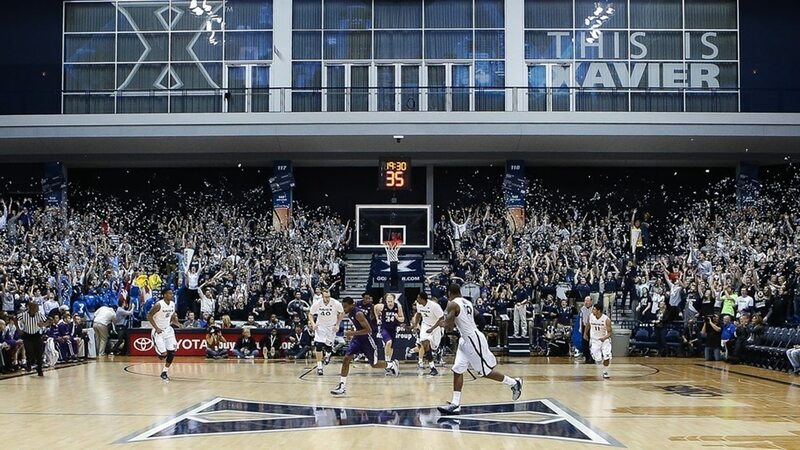 The Cintas Center hosted basketball for the first time in 2001, and Xavier has kept its new arena squeaky clean. The Musketeers have lost 175 games since 2001, but only 37 of those came at home. No team on this list has played more home games since 2000 than Wisconsin. 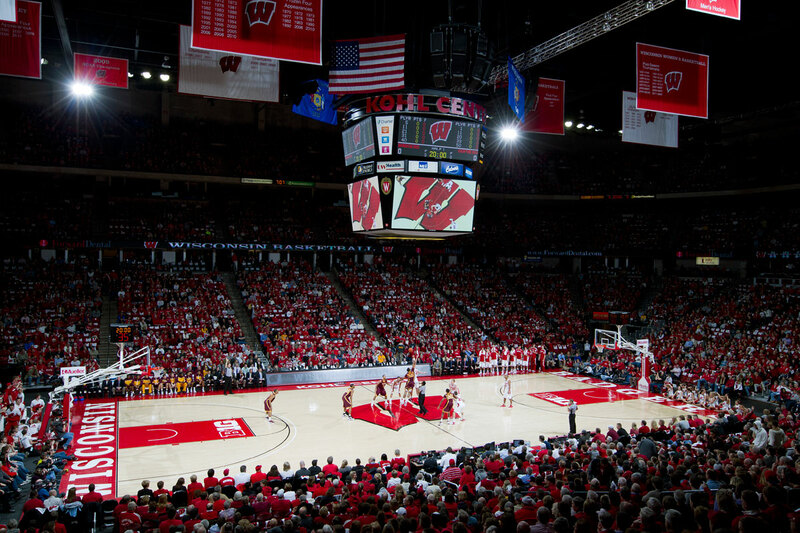 The Badgers recorded their 300th home game of the century last year, which came in a 68-63 loss to No. 2 Michigan State. That game, plus a loss to Michigan two weeks prior, made 2018 the first season Wisconsin has dropped more than five games at home this century. Of the teams in this list that have been in Division I every year this century (all but South Dakota State), BYU sees the greatest boost from its home court. 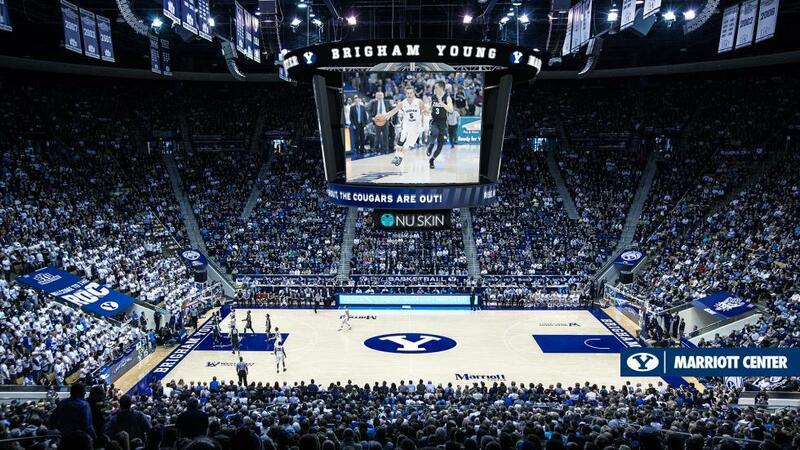 The Cougars win just 53 percent of their games on the road, but at the Marriott Center, fewer than two teams a year escape with a win. In the past nine years, Kentucky has gone undefeated at home more often than not. 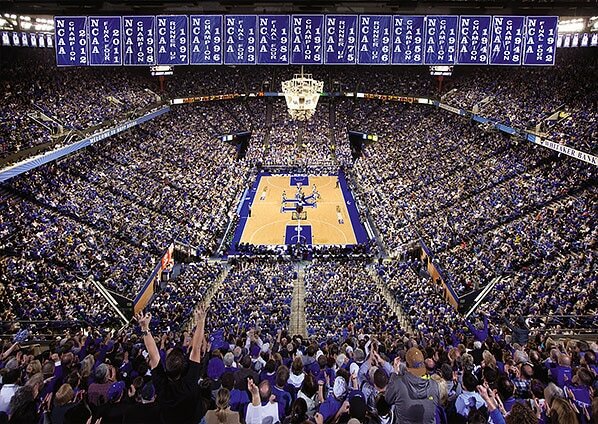 The Wildcats have had five perfect seasons in Rupp Arena since 2010, and only surrendered eight home games in that span. 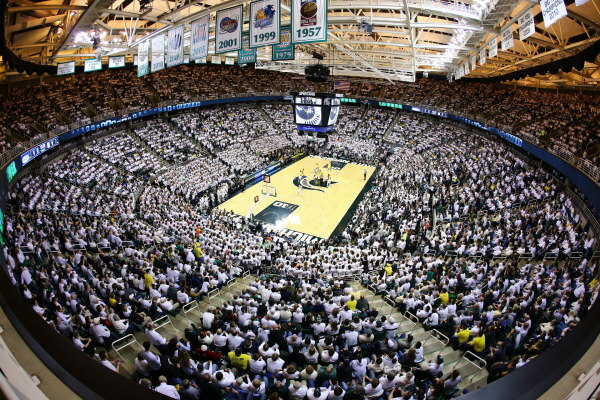 Michigan State hasn't had an undefeated season at home since 2008, but the Spartans have been quite consistent in the Breslin Student Events Center. There have been only three seasons this century where Michigan State has surrended more than two home games — in 2011, 2015 and 2016. 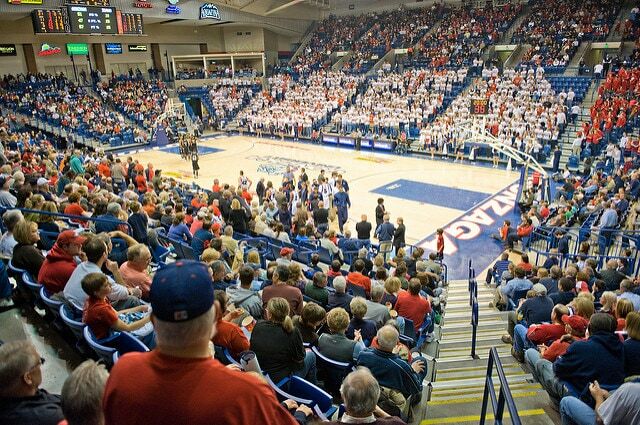 Strangely enough, Gonzaga's homecourt boost (15.07 percent) is the second lowest in all of Division I, behind Penn at 12.7 percent. But that just shows you how dominant the Bulldogs have been these past 18 years. 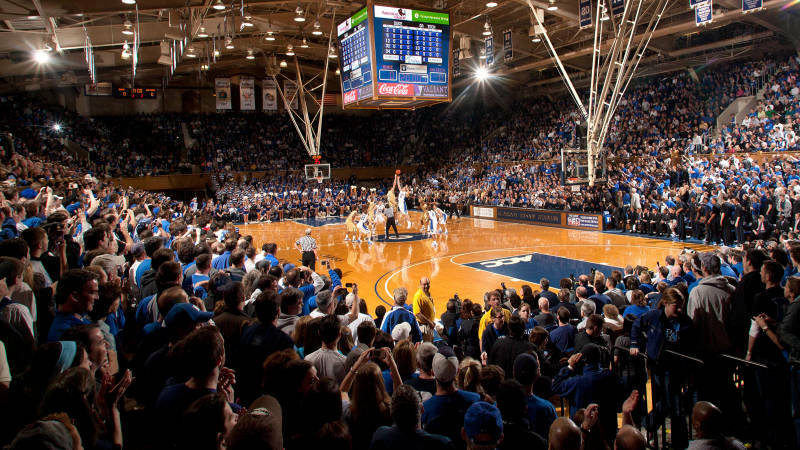 Few college basketball arenas are as intimidating as Cameron Indoor, and the results show. The Blue Devils have had six years this century where they've gone undefeated at home, and only three where they've lost more than two. No team on this list has more home wins or fewer home losses than Kansas. 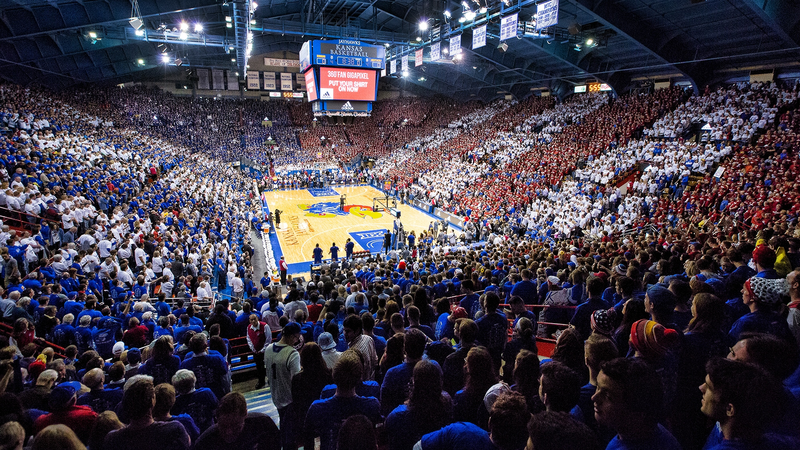 The Jayhawks have only lost 15 games in Allen Fieldhouse since 2001, an absolutely absurd statistic. That's an average of about one every 15 months. But this would be even more impressive without last year's aberation. In 2018, Kansas lost three times at home, making it the first time this century that they've lost more than two home games in a year.